Chocolate Coconut Macaroons are a super easy toasted coconut cookie recipe made with a secret ingredient that gives them great flavor! If you’re looking for a French Macaron recipe, this isn’t it. 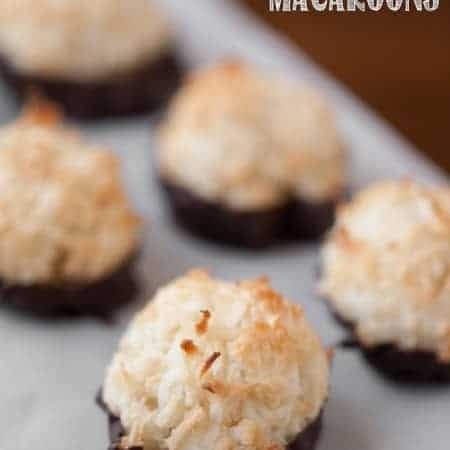 This is a traditional coconut macaroon cookie recipe with chocolate. Perfect for all those coconut lovers out there and much MUCH easier than a French Macaron! I’ve always been a lover of coconut. Perhaps it has to do with the fact that I was born on a tropical island? Maybe. But I’m thinking it has more to do with the fact that coconut is just wonderful and no other reasons are really needed. I thought these coconut macaroons turned out really fantastic. They were pretty simple to make. The outside was perfectly golden brown and the inside was nice and soft. The hardened dark chocolate complimented the sweetness of the cookie just perfectly. I’ll give you fair warning. The dough is a bit sticky when you’re rolling your cookies into balls, so you may need to wet them down in between cookies, but I tried to limit doing so because I didn’t know what effect the water, if any, would have on the final cookie. When I was looking for inspiration on how to make these cookies I came across countless recipes that called for sweetened condensed milk. To me, when combined with already super sweet coconut, the thought of using sweetened condensed milk was just nauseating. There is no sweetened condensed milk in this macaroon recipe. I was so happy with the way these turned out and wouldn’t change a thing! 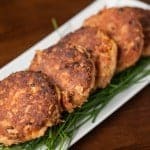 What are the ingredients in Coconut macaroons? 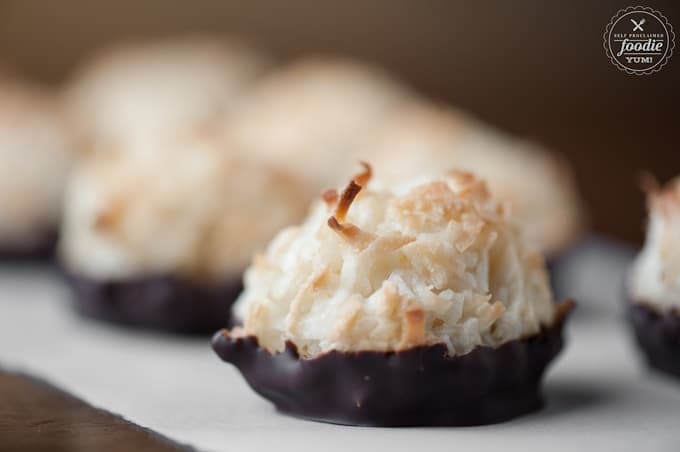 To make the best chocolate dipped coconut macaroons, you will need only the best ingredients! The main ingredient, sweetened and flaked coconut, is pretty obvious given the nature of the cookie. 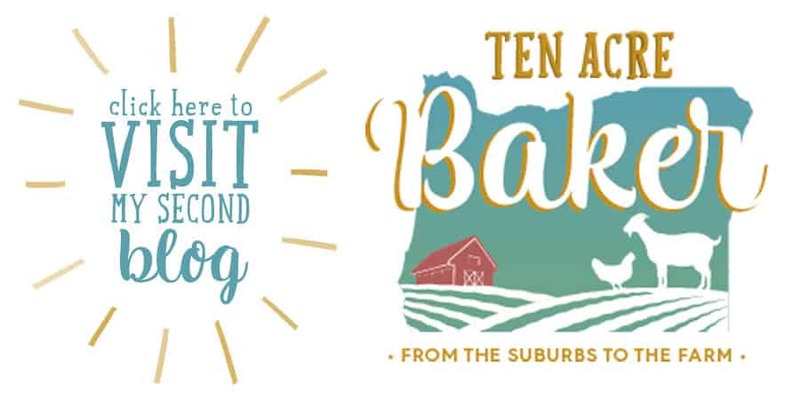 You will also need white sugar, all-purpose flour, baking powder, salt, egg whites and dark chocolate chips. Last, but not least, is the secret ingredient, almond extract, which really made the flavor incredible. There were two reasons I chose to use almond extract rather than vanilla. 1) I thought the flavor would really compliment the nutty notes of the coconut and 2) I’m ready to bottle up my next batch of homemade vanilla extract and could not get the lid off my gallon sized jar. So, I made a substitution, and although I have a never ending love affair with vanilla, I thought these cookies turned out even better with the almond extract. 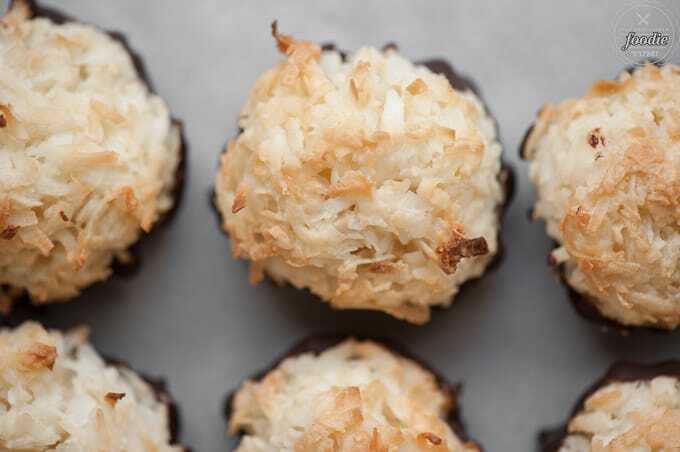 How do you make the best coconut macaroons? 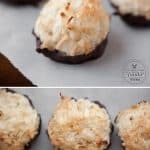 To make this homemade coconut macaroon recipe, you will first need to preheat the oven and line your baking sheet with parchment paper. Then, combine all of your coconut, sugar, flour, baking powder, almond extract, and salt in a large bowl. After that, beat the eggs whites in a bowl or stand mixer until the soft peaks form. Then, fold the coconut mixture into the egg whites until they are just combined. Next, roll spoonfuls of the mixture in your palms to balls around the size of golf balls and place them on your baking sheet. 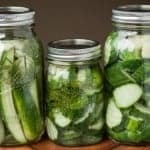 You will bake them for around 15-20 minutes. The coconut macaroons should be slightly golden and toasted when they are done. You should then place them on a wire rack to cool. The last step is to melt your chocolate and dip the coconut macaroons in them so that the bottom of each macaroon is coated. Then, set them chocolate side down and let them sit until the chocolate hardens. 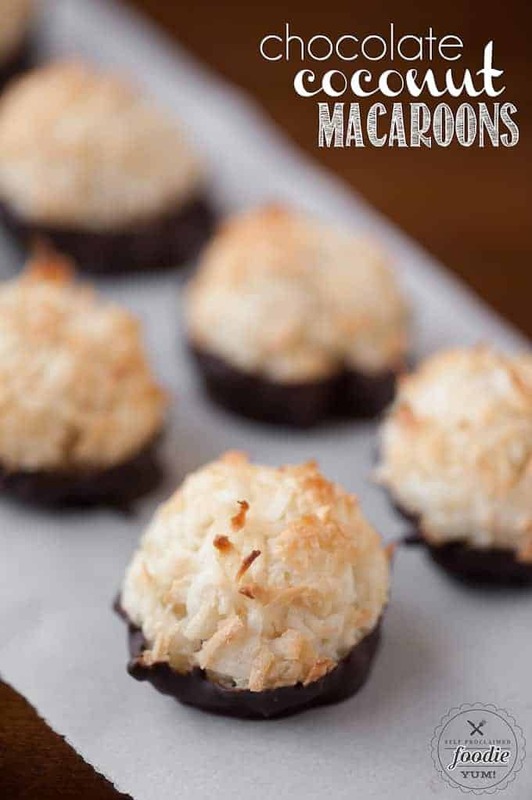 Now you are ready to enjoy your homemade chocolate coconut macaroons! In a large bowl, combine blend coconut, sugar, flour, baking powder, almond extract, and salt until combined. 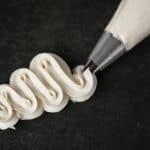 Separately, beat egg whites in a bowl of stand mixer until soft peaks form. Fold coconut mixture into egg whites until just combined. Roll spoonfuls of coconut mixture between palms to golf ball size cookies and then arrange on the prepared baking sheet. Bake cookies in the preheated oven until coconut is slightly golden and toasted, about 15-20 minutes. Transfer to a wire rack to cool for 30 minutes. 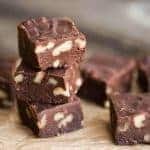 Melt chocolate in microwave on 50% power, checking and stirring every 30-60 seconds, until completely smooth. Dip the bottom of each cookie in the melted chocolate and set, chocolate side down, on a piece of parchment until the chocolate hardens. Number of cookies and final cooking times depend on the size of the macaroon. Makes 12 large or 18 small cookies. Serving size based on one small cookie.